The classic British weather is always capable of throwing up a few surprises in our gardens, but it’s not the only reason that emergency tree work in South London is one of our most commonly used services. Long term disease and a lack of ongoing maintenance can also quickly make trees dangerous to surrounding buildings and property which is why we offer emergency tree work in Croydon, Clapham, Norwood, Dulwich, Crystal Palace and beyond. Whether you need an entire tree felling to protect a building, a site cleared for an imminent construction project or you would like dangerous branches taken away, South London Tree Surgeons are here to help. Simply get in touch with a member of the team via our Contact Us page and we’ll advise on how quickly we’re able to reach your property and begin working on a suitable solution. 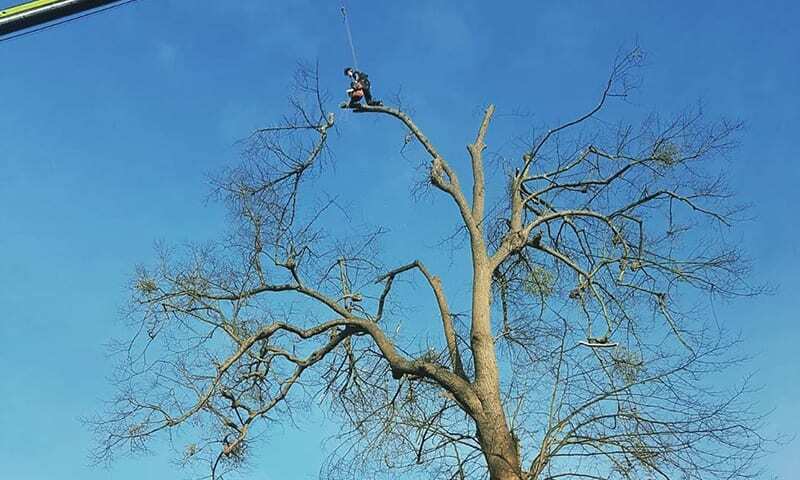 We use the latest tree surgery tools to carry out our work and all of our arborists are qualified and insured to deal with all emergency tree work, no matter how big or small.